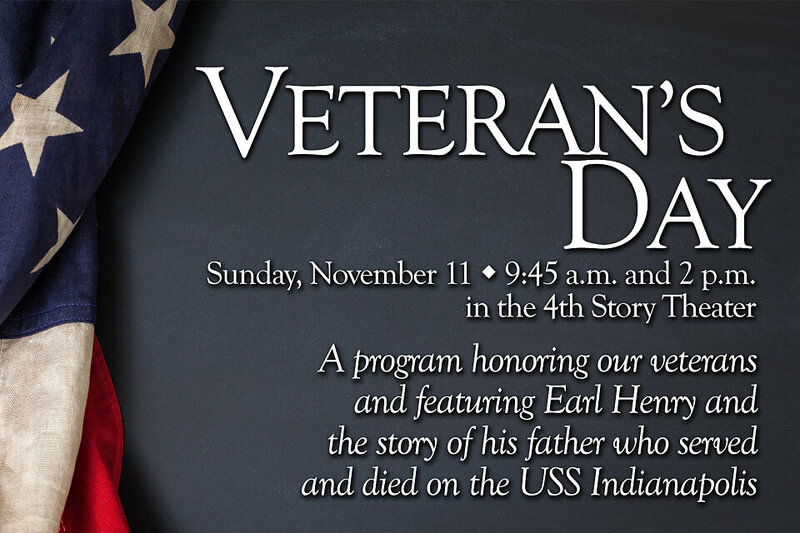 On Sunday, November 11 at 9:45 a.m. and 2 p.m., the 4th Story Theater will present a program honoring our veterans and featuring Earl Henry and the story of his father, Dr. Earl O’Dell Henry, who served and died on the USS Indianapolis. Dr. Henry was the ship’s dentist, artist and bird caller. Prints and cards by Henry will be available for purchase and donations will also be accepted. Funds raised will go to Room in the Inn’s Veteran’s Housing program.